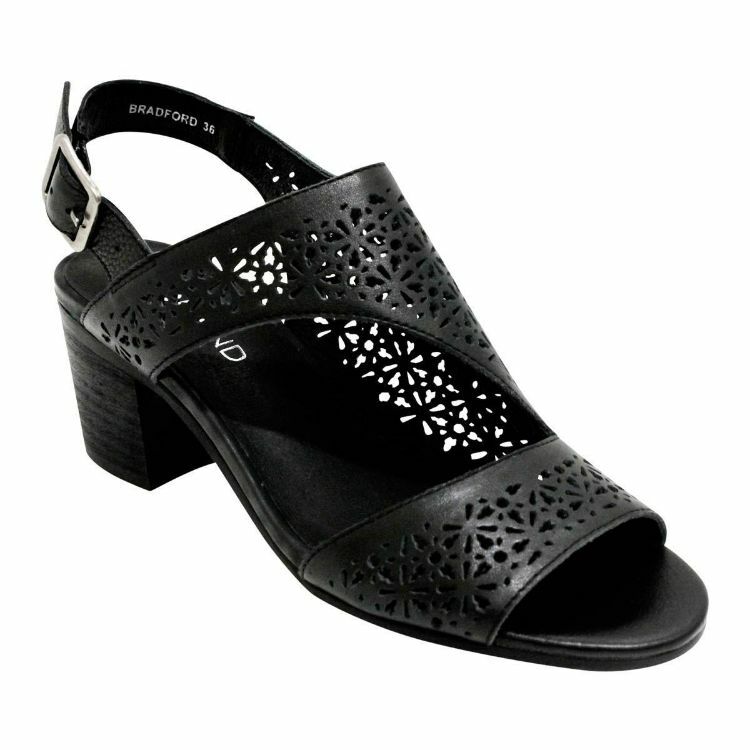 Bradford by Top End is a smart casual block heel fit for a summers afteroon out and about. 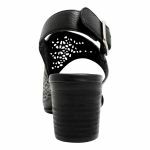 The soft leather and insole padding makes this block heel very comfortable to wear and stand in all day. The beautiful floral laser cut pattern softens the loos of this otherwise angular heel. The diagonally shaped front strap fatterns the foot by elongating and slimming and the adjustable sling back means you will have a perfect fit every time!